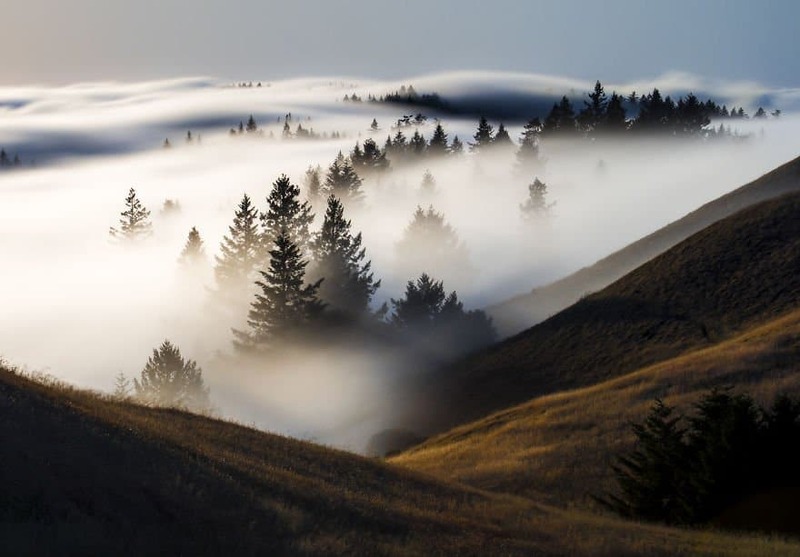 One lucky photographer grabbed the snap of a lifetime when the fog became rolling in over Marin County, California. 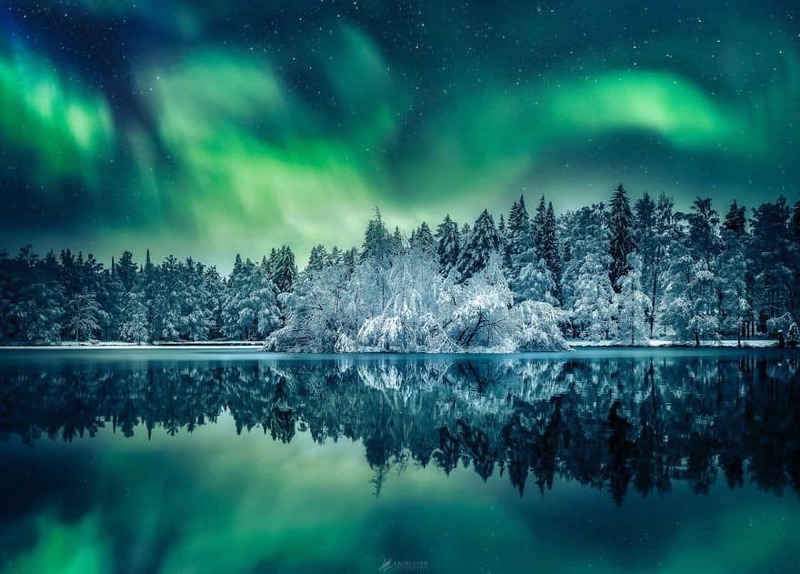 This beautiful shot of the Aurora Borealis was taken over Finland, with the northern lights giving the entire landscape an eerie, yet beautiful hue. 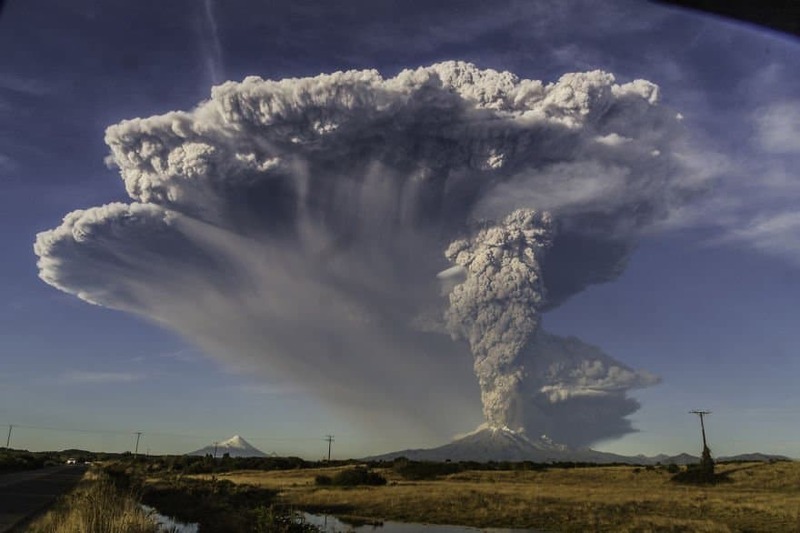 When the Calbuco volcano erupts, it not only shows the beauty of nature, but the pure destructive capabilities as well, leaving many with mixed feelings over this shot. 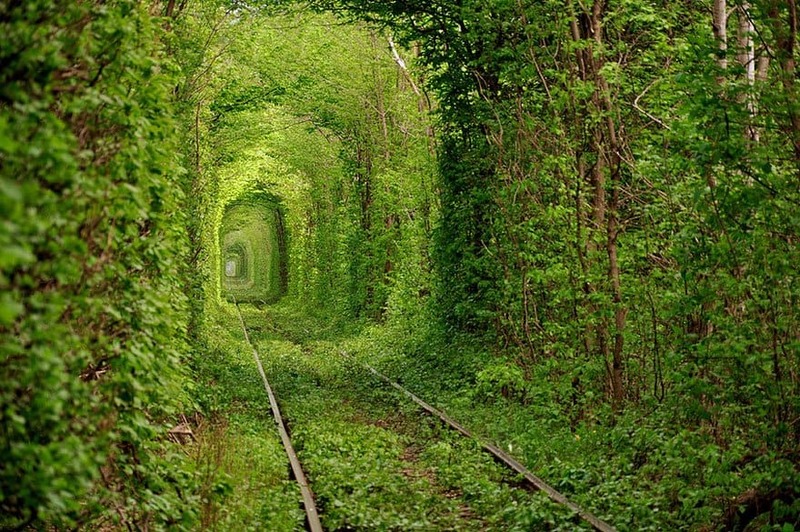 When this abandoned train tunnel became overgrown with vines and shrubs, people started calling it the Tunnel Of Love due to the peace and serenity that one obtains from the view. 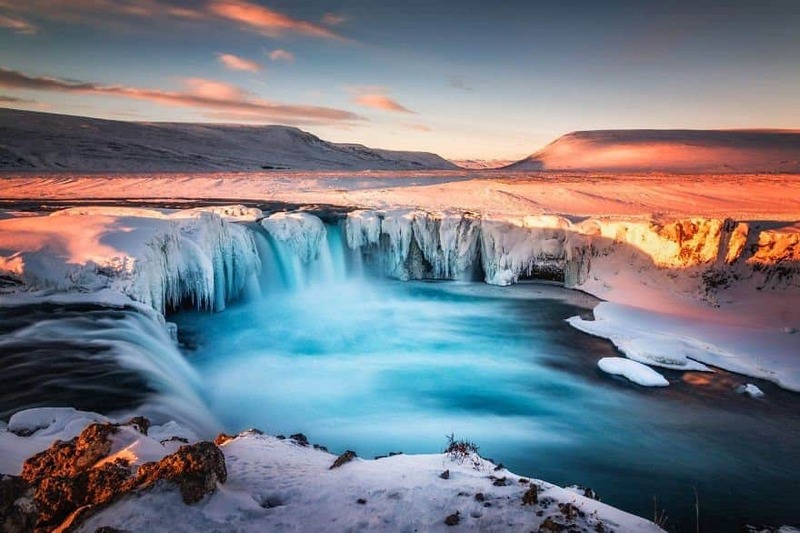 Iceland is home to many wonderful and even alien looking views, but this beautiful shot was taken just as the sun was rising. 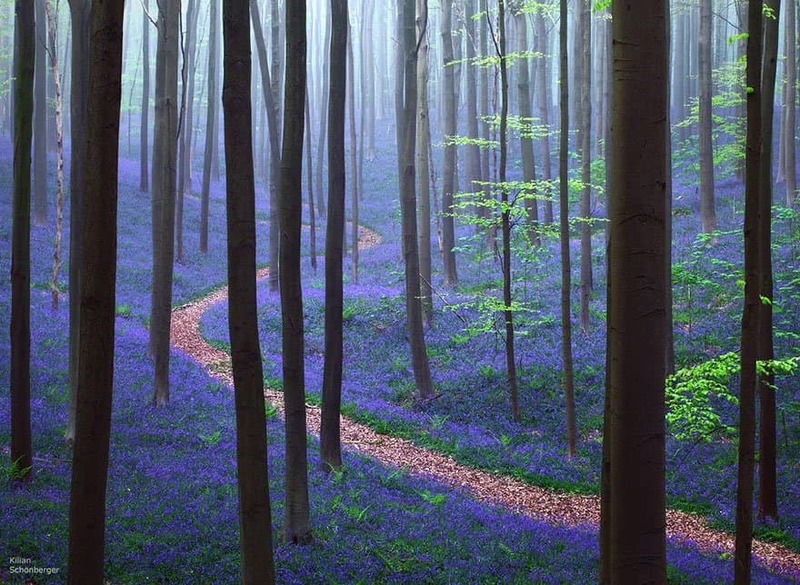 The crystal clear waters and the orange hue of the sun makes this landscape look like a dream. 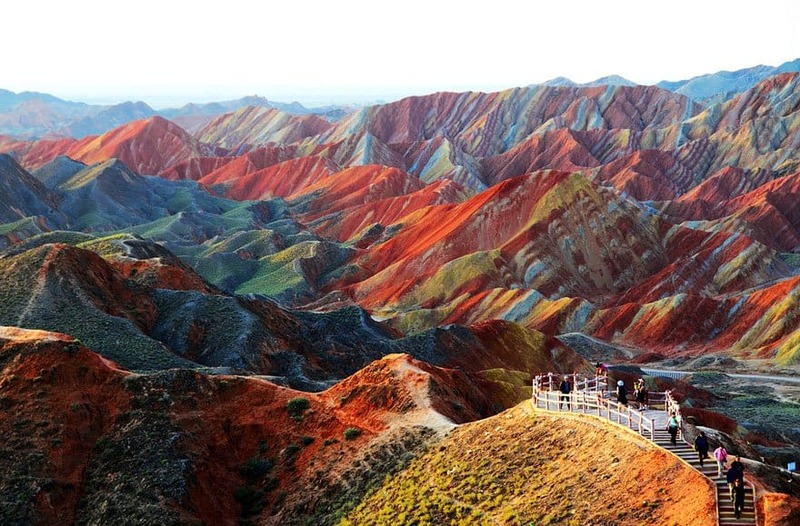 Yet another breathtaking shot from China, this time in the Zhangye province. The individual strata layered over the years must have been heaved up by a massive event in the past, making the landscape look like a Bob Ross painting. 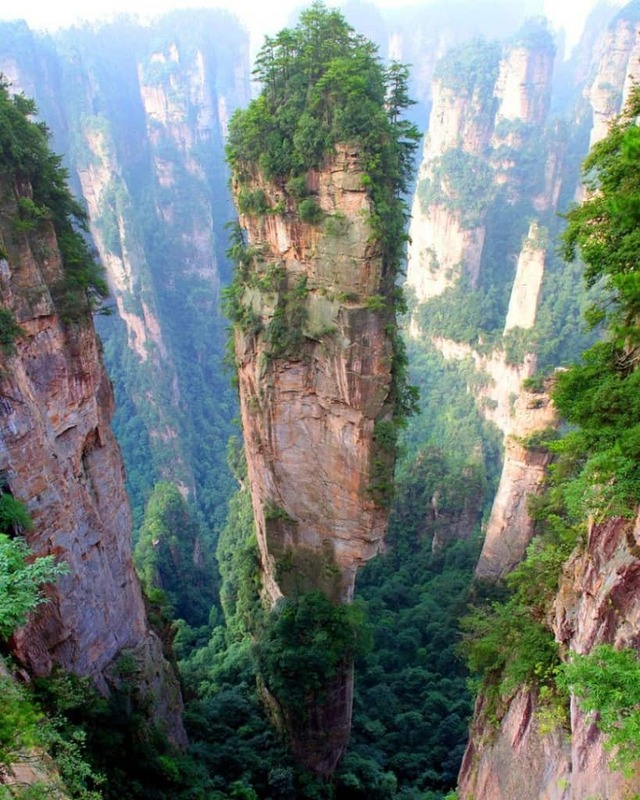 Although China is widely known for being overcrowded and polluted, many give up on visiting the country for sight seeing reasons. 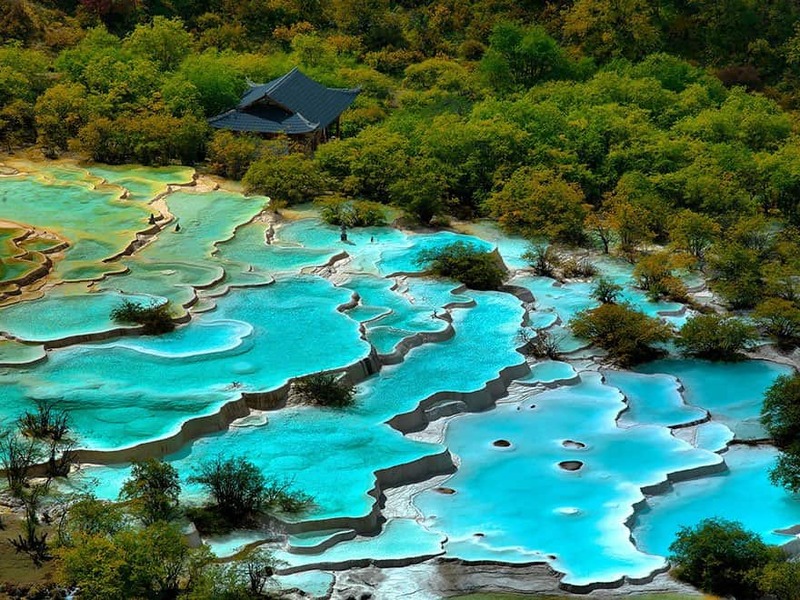 Fortunately for the brave few, views like this from Huanglong await them. 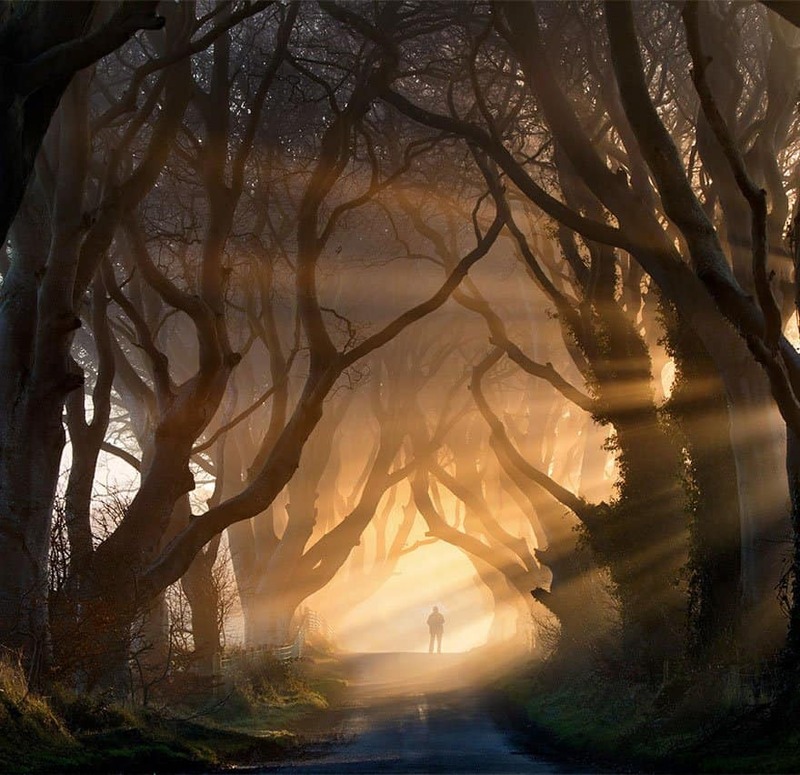 This tree tunnel from Northern Ireland became popular after the Game Of Throne series used this location during filming.